Hobby & Freizeit / Musik-Lehrfilm / Zupfinstrumente, 300 Min. Learn seven Dream Theatre tracks with Andy James. 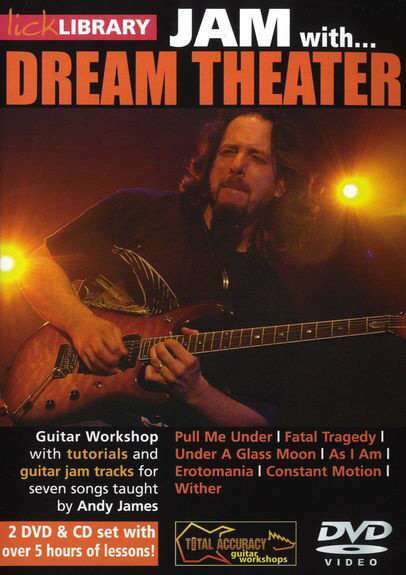 This superb DVD will teach you to play seven tracks from this award winning progressive rock band highlighting the technical proficiency of guitar virtuoso John Petrucci. 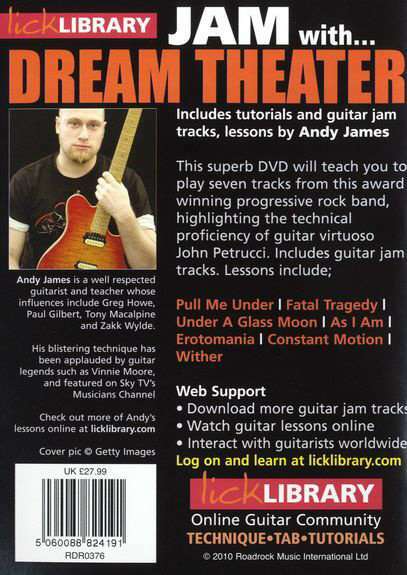 The DVD includes over 3 hours of lessons and guitar jam tracks.